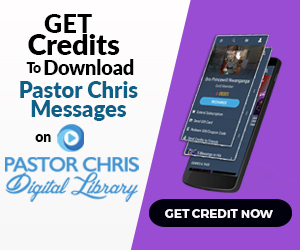 The Pastor Chris Digital Library is a mobile platform of audio and video messages.
" Rhapsody of Realities remains a life-guide with rich and impactful teachings from God’s Word. Millions of copies of Rhapsody of Realities, the best-selling daily devotional and Bible study guide have been distributed in 242 countries in 976 languages of the world... and we're still counting. New languages are added regularly, making the devotional accessible to many more in different parts of the globe, bringing the richness of God's Word into their lives. Now in its 18th year in print, Rhapsody of Realities remains a life-guide with rich teachings from God's Word. It also features LoveWorld News, a pictorial and coloured mid-page magazine, which contains latest updates and reports of the ministry's programmes around the world. The revelations teachings, anecdotes and illustrations, Word-based prayers and confessions, proven one-year, and two-year Bible reading plans, are all guaranteed to edify and enrich your walk with the Lord. Impact the lives of many around the world as you sponsor free copies of this life changing devotional to schools, hospitals, orphanages etc..
We are on a Mission. Each Day, each hour by the minute we are committed to bringing God's word to millions. Read about Rhapsody events around the world. 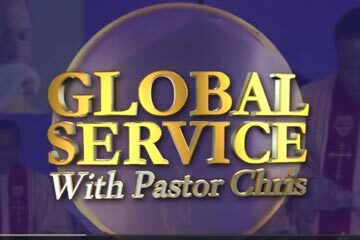 Join our Global Networks of translators whose mission is to make God's word available and accessible to all people in the language they understand best. Oftentimes, there’re Christians who, when they come to church, would say, “Lord, we’ve come into your presence today.” And when they leave, they feel they’ve left the presence of God. Some even pray for the presence of God to come down or follow them everywhere. But as a child of God, you don’t “come” into God’s presence nor go from it; you’re forever in His presence. When you come into a place, no matter where it is, you come in, and with, God’s presence. You bear His presence. You’re the temple of the living God, who dwells in you by the Holy Spirit. When you were born again, Christ took up His abode in the quarters of your heart. He’s in you now, and you’re in Him. He didn’t come into you to leave again after some time; He’s forever in you. Read the words of Jesus in Matthew 28:20; He said, “…lo, I am with you alway, even unto the end of the world. Amen.” This was before the Holy Spirit came to take up His abode in the quarters of our hearts. He had said concerning the Holy Spirit in John 14:17, “…ye know him; for he dwelleth with you, and shall be in you.” It’s an everlasting indwelling. The Spirit of God dwells in you, and He’s the conveyor of the presence and blessings of God, and all that’s been given to us in Christ Jesus.